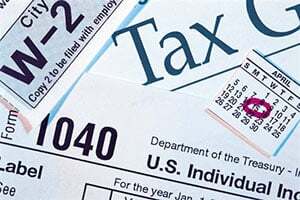 If you’re receiving a tax refund for tax year 2012, or any tax year, congratulations! The government is refunding the no interest loan that you made in that tax year. Your refund may be small, in which case you deserve congratulations again for not making too large a loan to Uncle Sam, or it may be larger, in which case it may make sense to review your withholding options. Those topics are for another day. Let’s take the case of the typical taxpayer. In 2012, for the 2011 tax year, taxpayers received a tax refund that averaged $2,700. That’s more than a month’s worth of income for two thirds of US taxpayers. So, what would you do if you received an extra month’s pay? I agree with most personal finance advisors who recommend that you pay yourself first. The one thing that you can count on is the need to save for events in life that you didn’t count on. You may not have planned for an event that involves an unexpected expense, but if you have a savings plan, you have better options than someone who has no plan. OK, so how much of the refund should I save? Let’s pick $1,000. Here are some ideas—winning ways—to make that payment to yourself. 1. Make savings a habit. Start a Roth IRA. If you don’t qualify yourself, consider opening one for a family member. If you or your family member had taxable income for the year (even if no tax was due or paid), you can usually contribute up to $5,000.00 into a Roth IRA. The Tax Code provides that this contribution will grow tax-free year after year. What’s more, it can be withdrawn penalty free and tax-free after the person who owns the Roth IRA reaches age 59 1/2. Even if financial troubles occur in the future, the money in the Roth IRA is virtually unreachable by creditors, even if you or your loved one has to file for bankruptcy. 2. Create a personal financial emergency fund. Set up a separate savings account for this purpose at a bank or credit union. Financial planners recommend that this fund cover three to six months of your typical living expenses. Most employers’ payroll systems can help you set up a paycheck allotment or auto-deposit of $100 monthly into your emergency fund. In just two years, your fund will grow to nearly $5,000.00. 3. Get a professional financial review. If you feel that you might have enough income for some modest retirement counseling, then get a professional review of your finances from a fee-only non-commissioned financial advisor. You should expect to pay less than $1,000.00 for your personal review, leaving the balance to allocate as your advisor recommends. How is this different than calling Edward Jones or Charles Schwab? There is a big difference: your local stockbroker is a salesperson, not a truly neutral financial advisor. Contact the National Association of Personal Financial Advisors for a local referral. 4. Invest in your home. Whether you concentrate on a specific room in your home—the kitchen, a bathroom, the family room—or spread your efforts inside and out, you can make noticeable improvements by doing it yourself. Not only will you enjoy living in your upgraded home, you may find that the home improvements you made improved the resale value of your home should you need to sell your home someday. 5. Invest in yourself. Some people may not like it, but those who “dress for success” usually do succeed more than someone with the same skills and personality who don’t pay attention to their appearance at work and socially. The book at the link was originally published in 1975. The advice is just as good today as it was then. Don’t overspend though. Limit yourself to $500, and follow the guidelines in the Dress for Success book or other business-friendly sources. You can always upgrade your wardrobe again after you get that big raise because you showed your bosses that you take your work, and your appearance at work, seriously. If you feel your wardrobe is covered, there are other good ways to invest in yourself—your skills, your mind and body, even your creativity. 6. Extend the life of your car. The tips at the link helped one car owner keep his machine running for 3 million miles. Keeping your car running well, and avoiding major expenses—like purchasing a replacement car—is a great way to save. If you already do a great job of maintaining your vehicle in tip top condition, you may want to treat yourself to a great detailing job for the exterior and interior. Tacoma’s own Griot’s Garage has great tips and videos that will help. 7. Hire a lawyer. There are events in life that require professional advice and services. You’ve seen several of them in the 6 winning ways I covered above. A lawyer can help you author key documents that establish plans that cover events in life that many of us don’t want to think about, but must be addressed sooner or later. Starting with a will to simply cover the division of your assets, nominations of a guardian to care for minor children, care for pets upon your passing, “health care directives” to instruct health care providers about how you want your care handled under certain circumstances, and finally, directions for the division of “non-probate” assets such as life insurance policies, IRAs and 401k’s and “probate assets” such as homes and realty investments in your will. Your lawyer can help you ensure that your wishes are clearly established in a will that will help your loved ones avoid surprises and unnecessary stress that your family after your passing. If you divorce your spouse someday, the same lawyer who helped you establish your will is in a great position to help you to address any changes to your beneficiary designations as a result of your divorce. You or someone you know may want to turn over a new leaf, and implement one or more of these ideas. Great! However, if indebtedness is too great, you may need to take steps to deal with that past debt before you can return to positive net financial worth. If you can’t see a way clear to paying off your debts in full within two years, filing a bankruptcy case can often quickly restore your creditworthiness and put you back on the path towards a brighter financial future. Call us at (253) 383-1001, or visit our site:washingtonbankruptcy.com/contact-us, to schedule a free personal consultation with me so that I can explain how and why. Don’t wait; stop procrastinating! Act now to regain your peace of mind right away. Who is Robert Shiller and why are his recent comments on housing price recovery so important? What does he have to say?